As a child, Dr. Robert Pesale suffered from frequent headaches and blood pressure issues. After taking test after test, nothing seemed to ease his health problems. That was until he visited a chiropractor. After only two visits, his headaches subsided and blood pressure was normalized – without having to resort to drugs or surgery. At that moment, Dr. Pesale decided that chiropractic was going to be his profession. During the pre-launch phase of Stratford Chiropractic, we learned about Dr. Pesale and his passion for natural healing. Offering a variety of chiropractic services, his practice takes healing beyond the typical chiropractic adjustment, offering nutrition, exercise, manual therapy, and a host of other treatments. 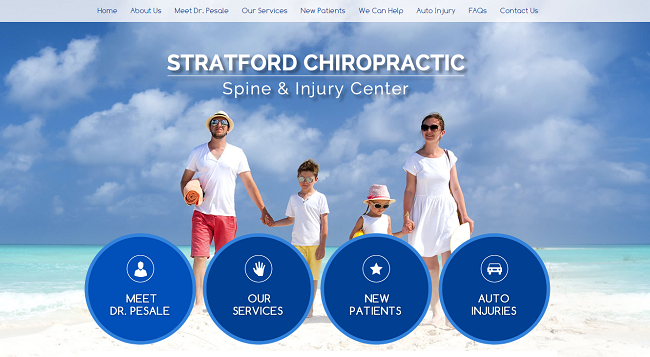 Launched under our Premium service plan, we are excited to see Stratford Chiropractic grow their online presence through our new partnership! 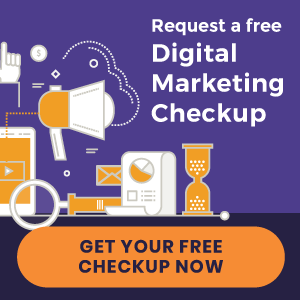 « New Chiropractic Websites Just Launched – Complete Chiropractic Care and more!